Most companies invest in CRM because management wants to know what sales is actually doing. Of course they want forecasting and consolidated record keeping as well. All three of these objectives are often objectionable to sales people who in turn resist - citing time constraints and system defects for the resistance. Sometimes the sales team is even more explicit. I recently heard of a sales rep who refuses to even use a work email address, communicating with customers through LinkedIn messages to keep information from company management. Some CRM systems seek to approach the challenge differently. HubSpot created its system with the goals of delivering what reps in the field need, simply and easily. Bob Apollo has adapted Membrain to follow his well researched process for complex sales pipeline management. What doesn't often get discussed is the ability to automate routine but important steps - and to help sales people simultaneously get more done using best practices that can be measured and improved. So Tom Morkes' presentation on influencer marketing at the recent Military Influencer Conference got my attention. Influencer marketing, like other forms of content distribution and promotion, are often overlooked by practitioners of industrial marketing who are just relieved to have gotten their content through the editing juggernaut and actually published. Yet it's key to success. This is a sound approach that can be incorporated into revenue growth frameworks. It illustrates the blending of PR, marketing and sales functions that is critical to success in today's markets but is stymied by the traditional organizational structure and resource allocation. Back to the CRM point...a core function of CRM should be to quickly schedule complex series of steps (calls, emails, and tasks - more than just the next to do.) HubSpot's sequences tool is a great example of what I mean. Tom's process could be easily built as a block, along with templates and scripts as appropriate. Scheduled in a single step - at appropriate intervals, with helpful reminders, including time saving features (e.g. automatically including the targets twitter handle in the task reminder to follow them), yet fully flexible for personalization and adaptation - the process becomes routine, simple to execute and simple to complete. If companies could come to visualize CRM as a tool of empowerment, efficiency and process improvement - an analog to their back end systems - they'd find substantially more value in simpler, less complex and less expensive systems. And they'd begin to build sales process as thoughtfully as they do manufacturing! When the revenue growth function can move past traditional silos, then there's an opportunity to really broaden processes. The "sequence" of steps described above can be mirrored in amazingly effective, creative and intuitive workflows using marketing automation. 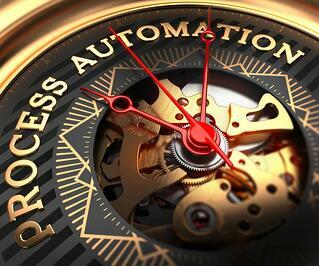 Too often when discussing marketing automation, sales process is disregarded and thetechnical features are the focus. It should be flipped. The features are table stakes - the creativity and real understanding of buying journeys (along with channel sales collaboration, team buying, etc.) are the keys to effective and innovative marketing automation implementation. Learn more about that in this free downloadable guide.